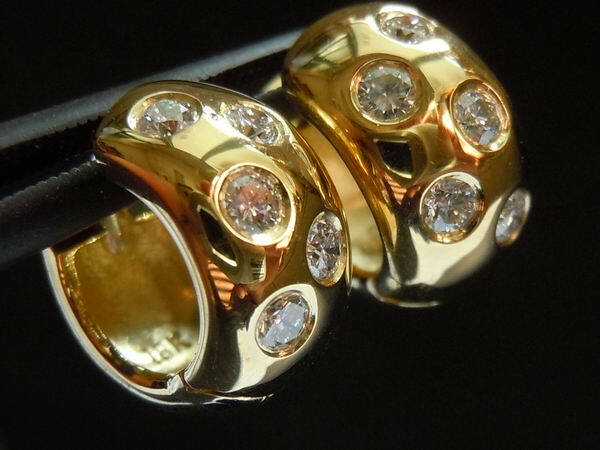 A lovely pair of 18kt yellow gold diamond huggies. 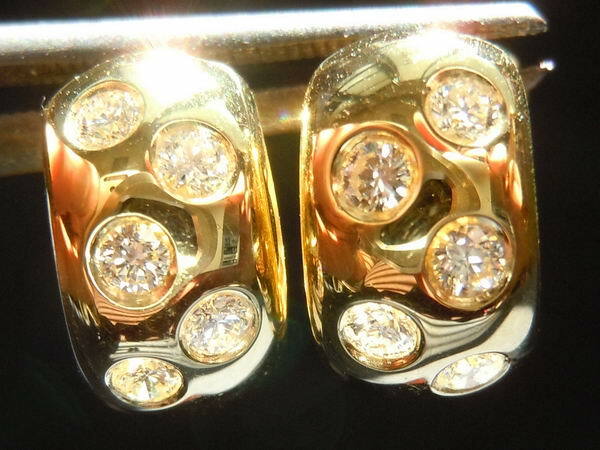 The earrings may be on the smaller side at 11.5 by 6.5 mm, but they pack a quite a punch. 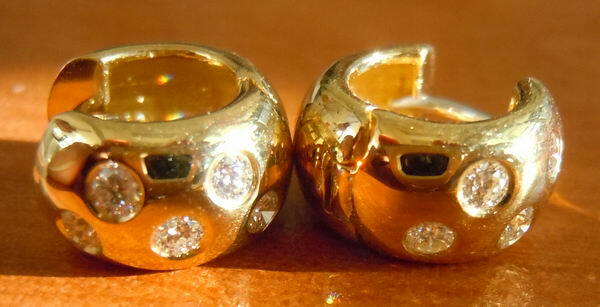 The diamonds are well cut and full of sparkle. 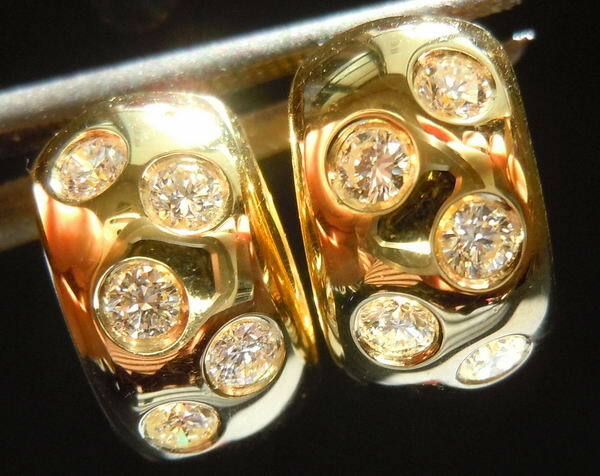 The gold on the earrings is so smooth and well polished. You can see the quality of the workmanship in these close up photos. They have a sturdy look to them, while remaining comfortable to wear. If you like the earrings in these photos, you will love them in person! The photos and video above are of the exact pair you will get.